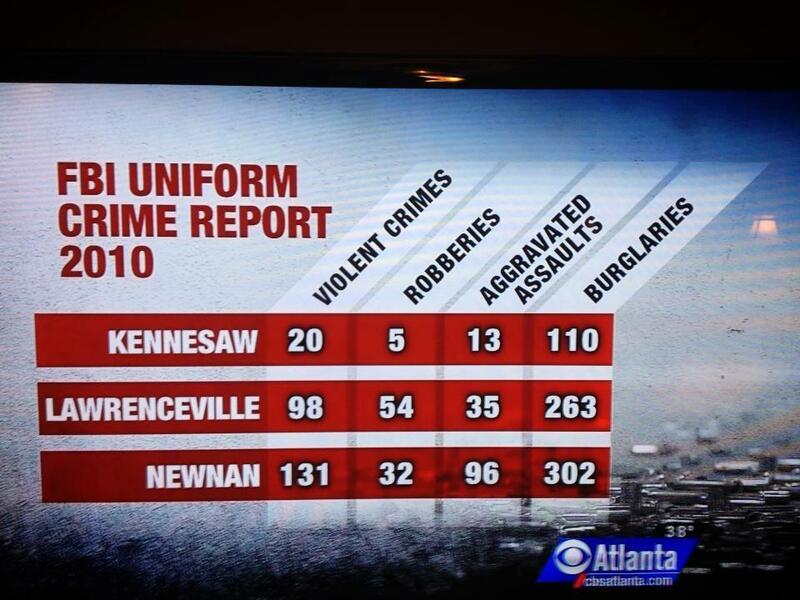 The chart above shows crime rates in Kennesaw Georgia compared to similar sized cities in the region. Kennesaw GA officials attribute a drop in crime in the city over the past two decades to a law that requires residents to have a gun in the house. In 1982, the Kennesaw City Council unanimously passed a law requiring heads of households to own at least one firearm with ammunition. The ordinance states the gun law is needed to "protect the safety, security and general welfare of the city and its inhabitants." If I were a criminal I would certainly think twice about breaking into a house in Kennesaw when you know there's a gun waiting on you inside!